CaliKim’s Coloring Book Unwind while coloring my garden – a new kind of garden therapy! Growing 5 Warm Weather Vegetables Made Easy shows you exactly how to grow your own tasty, healthy, organic food in your own backyard in a quick, simple and inexpensive way! Regardless of you live where it is warm right now, or somewhere it is cooler now but will be warm in a few months – this ebook gives you all the info you need to get started. No more hunting all over the internet to piecemeal together complicated gardening instructions – it’s all here in one place! Your downloadable, printable ebook includes: • 85 pages of detailed, in depth instructions on how to grow 5 warm weather vegetables – tomatoes, peppers, cucumbers, squash and eggplant – from seed to harvest. • Many of my quick, simple, and inexpensive tips to grow your own food! • Beautiful, full color photos of my garden. 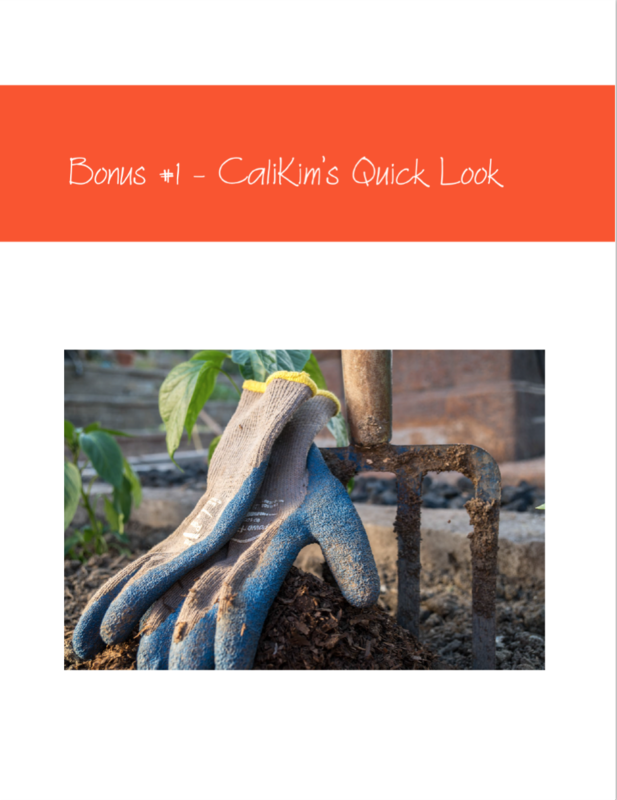 2 free bonuses included with your download: • CaliKim’s Quick Look – full color quick reference guides to each of the 5 veggies • CaliKim’s Gardening Terms – basic gardening terms explained and made simple! 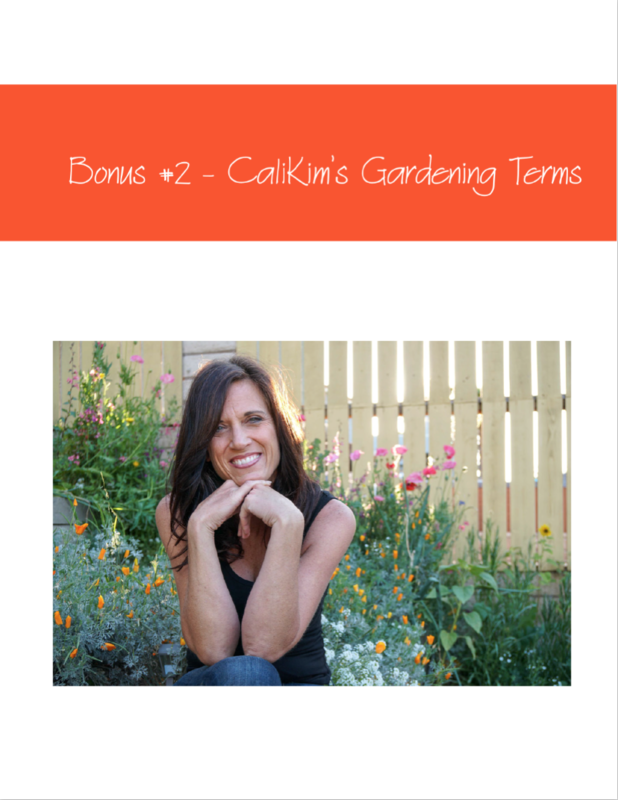 2 free bonuses inside your 5 Vegetables to Grow In Warm Weather eBook purchase! Beautiful full color charts that provide a quick look at each of the 5 warm weather vegetables and basic gardening terms explained and made simple! !